Cast away from the traditional and embrace this fusion piece that's so charming and elegant. 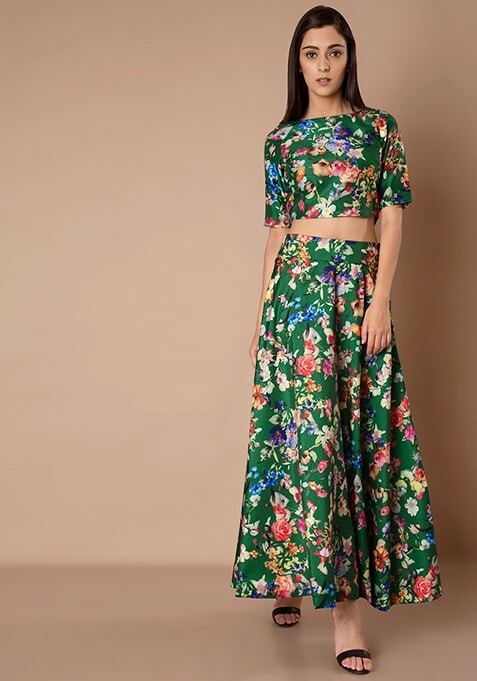 Splattered with green multi-color floral print, this skirt is a great addition to your festive collection. Take a twirl!